As WE MOVE from welfare-as-we-knew-it to welfare-as-we-have-never-known-it, an often acrimonious debate is continuing between those who contend that the change will be most effective if the beneficiaries are motivated by a carrot and those who favor a stick. The press simplifies the story by calling the carrot people liberals and the stick people conservatives. Actually, this is a very old debate. It went on during the years of AFDC (Aid to Families with Dependent Children), and it is going on in our time of TANF (Temporary Assistance to Needy Families). Both sides remain supported by innumerable anecdotal or imaginative reports and by many elaborate sociological studies, complete with chi-squares, regression analyses and multicolored graphs. Welfare has generally been understood to be temporary, because the economic system has conventionally been understood to be evolving toward perfection. AFDC was envisioned as helping both poor widows and deserted mothers through a personal hard time. Many voters were surprised when it appeared that the distress of millions of families was caused by economic hard times that persisted, not only in the big cities but also in the countryside. Many more voters were angered when the late George Wylie’s Welfare Rights Organization and others, including some government officials, worked to inform distressed families of the help available to them. Still more voters became choleric as careless teenage girls and shiftless older women were said. (although the evidence was scanty) to make a living by producing babies while their male friends used welfare checks to tide themselves over when the drug-dealing or car-jacking business was slow. Hence TANF, with its lifetime limitations on welfare benefits, and the other restrictive provisions of the 1996 law, signed by the President amid a show of determination to fix it when he got a chance. It does not take much imagination to see that little, if anything, has been accomplished. Let us suppose that there are women willing to make babies in order to stay on welfare. How are we going to stop them? We can, to be sure, reduce or cut off their benefits, but their children, who certainly did not originate their own births, will be the ones most hurt, as has happened in starvation situations in all cultures and all times. Or are we going to turn children out in the streets, copying the culture of Calcutta? Or shall we take the children away from their mothers and put them, as some politician (I forgot who) suggested, in orphanages-preferably, no doubt, orphanages run for profit? What, then, becomes of family values? Family values, of course, are only a couple of political catchwords that no one bothers to define. Nevertheless, one must wonder what is so important in our civilization that it requires putting children in orphanages or driving them into the street in order to punish the mothers. And will the presumably selfish mothers even feel the pain of the punishment being meted out? The most enthusiastic advocates on the draconian side of the debate estimate that a high but unspecified percentage of welfare mothers will respond as intended to the stick approach-that they will seek and perform menial labor for substandard wages. This is nothing for civilized people to be proud of. Assuming the expectation is correct, moreover, we will still have a considerable percentage of women pursuing their procreative ways. We might have their tubes tied, but the Supreme Court is apt to consider this a violation of the Eighth Amendment’s “cruel and unusual punishment” clause. Amending the Amendment is not likely to appeal either to those upholding the Right to Life or to those defending the Right to Choose-which pretty much covers the voting spectrum. On the other hand, there is evidence that the carrot approach sometimes encourages welfare dependency. The foregoing is hardly a summary of a small part of the debate, many of whose arguments go back to Hammurabi of Babylon, Solon of Athens, Solomon of Judea, Jesus of Nazareth, Cato of Rome, and (perhaps most notably) to England’s long wrestle with the Poor Laws. The last dragged on from Elizabethan times until 1929, when the Local Government Act changed the name, but not the nature, of the trouble. I make bold to suggest that the terms of the debate are all wrong, and that we shall be not be able to solve the welfare conundrum unless we revise them. As ALMOST ALWAYS happens in sociology, and far too frequently happens in economics, we are asked what is the: most efficient or cost-effective solution. Efficiency and cost-effectiveness, however, are at best secondary aspects where the lives of people are involved. For instance, the drug problem, however you want to define it, is considered one of the most serious facing America today. The vast majority of voters would probably place it ahead of welfare motherhood, and many would list it as a cause of welfare motherhood. Yet there is a recent example of an efficient and cost-effective solution that not even the most absolute American drug hater proposes we adopt. For more than a hundred years after the Opium War (1839-42), in which the British forced China to allow the importation of opium, China was the typical case of the drug-plagued land. The opium dens of Shanghai and Canton were celebrated in fact and fiction. Mao Zedong’s People’s Republic wiped out the plague almost overnight. It was very simple. Every apartment house or neighborhood or farm had a committee dedicated to uncovering enemies of the people. Drug users and dealers were designated enemies. A few public trials (denunciations, actually) were held in athletic stadiums, followed forthwith by public executions. Other suspects were given the option of quitting cold turkey or being shot. Formal proof was unnecessary; suspicion was enough to trigger the option. Despite this well-known bit of recent history, we do not rush to emulate it. We refrain for many reasons. The principal reason is that, with us, crimes deserving punishment must be proved in a court of law. The Chinese solution was effective because judgment was summary and incontestable. That the sentence was capital speeded things up. A lighter sentence would have required more prisons or more chain gangs or more pillories, and especially more time to demonstrate to everyone that this particular crime did not pay. With us, justice is more important than effectiveness, efficiency or expense. Although you would never realize it from the way we talk or the way we write in our newspapers and magazines and textbooks, justice is also more important to us in economics than is effectiveness, efficiency or expense. Why else should we have abolished (to take the most vivid examples) slavery and child labor? To be sure, we had to fight a civil war to abolish slavery, and it wasn’t until 1938-eight years into the Great Depression that we were able to get a child labor law through a Southern-dominated Congress and past a states’ rights Supreme Court. But we finally managed to bring about both reforms, and neither one depended on considerations of effectiveness, efficiency or expense. For many years we were apparently ashamed of what we had done. It was said that slavery had become unprofitable, and that it would have died out anyway, sooner rather than later. It was also argued that most slaves were well cared for because they were worth good money, and that slave labor was really more expensive than free labor. The quasi-Marxian conclusion of these claims was that the true force behind abolition was the profit motive, not the brotherhood of man. No one raised the question of why it was thought necessary to abolish by law, let alone by force of arms, what was economically unprofitable. Perhaps the invisible hand did not quite work the way Adam Smith had said it did. The child labor problem was not too different. Economists call all labor a “disutility.” Although few defended, say, having half-naked children (and their mothers) scramble on all fours like stunted donkeys to drag carts of coal through constricted mine drifts, market forces did not work against such atrocities because they were cost-effective. In short, the fundamental economic problems are not solved-do not even exist-on so-called economic grounds. Efficiency and cost-effectiveness are not standards of right conduct. They are not primary rules for the good economy or the good life. The thing about primary rules of right conduct is that they are not absolute, as 7+5=12 is absolute. They are local, for a time and place. They are historical. For a few obvious examples, we note that only recently has a 35-hour week come to be considered a full-time job. The 40-hour week was a goal 60 years ago, and our forefathers talked of working from sun to sun. Likewise, what constitutes decent living conditions has changed and continues to change. The first public housing built by the New Deal had to exclude interior plumbing, not because of the cost, but because private housing of the time and place ordinarily lacked it. Insofar as the length of the workweek and conditions of living are standards, they have nothing to do with either carrots or sticks. It is barbarous to apply the carrot-or-stick metaphor to human beings. Human beings are not a means to an end; we are all ends in ourselves. It is in this basic sense that we are all equal equally absolute and absolutely equal. Rousseau said the state exists to force men to be free, but such force is vicious if the state does not also guarantee the opportunity to exercise freedom. Workfare as we now know it does not guarantee that opportunity, and so must resort to carrots and sticks to trick or beat donkeys into line. Workfare will fail to meet the needs of our democratic society until it is guided by these two principles: First, the right of every citizen to make a contribution to the common weal-that is, to have a decent job-is equal to the state’s right to hold him or her to obedience to its laws. Second, any full-time job that does not provide a decent and honorable living is not worth being done except as a favor or a hobby, as training or as punishment, or in defense of the realm. ONE OF THE saddest pieces in modern literature is the last chapter of John Maynard Keynes‘ The General Theory of Employment, Interest and Money. It was not meant to be sad. It was written in exultation by a man of 52 at the height of his powers. He had been editor of the Economic Journal, the most prestigious publication in his field, for 25 years. He was the author of several influential political pamphlets and four major books, one of them an international best-seller, another a ground-breaking two-volume Treatise on Money. He was active and known and listened to in Cambridge, Manchester, Whitehall, and the City of London. As he wrote the final chapter, he could look back with satisfaction on five years of hard work on a book he was frank to say he expected would change the world. The people with whom he had discussed his ideas and to whom he had submitted proofs of the work in progress encouraged him in that expectation, though he scarcely needed encouragement. He was self-confident to the brink of arrogance. At the same time, he had a saving wit (those who felt its occasional sting were not so sure it was “saving”) that was often turned toward himself. How else can we interpret the title he gave his great book? The General Theory, indeed! Did he rank himself with Einstein? Of course he did. Did he find it amusing that he should be so pushy? Yes, that too. The heart of the whole work is in the last chapter’s first sentence: “The outstanding faults of the economic society in which we live are its failure to provide for full employment and its arbitrary and inequitable distribution of wealth and incomes.” I can only think that most economists reading that sentence have shrugged as they shrug when, let us say, a politician makes obligatory declarations in favor of school and family – two institutions everyone believes in and no one proposes to do anything substantial about. Then they probably have skimmed lightly to the famous peroration concerning “ideas, not vested interests, which are dangerous for good or evil,” and have returned contentedly to the construction and deconstruction of their mathematical models. Keynes, however, intended his ideas to be “dangerous for good.” The economy’s faults were dangerous for evil” – not inconvenience, but evil. The economy would not work properly unless they were corrected. Every aspect of The General Theory depended upon and was directed toward that correction. Few noticed. Okay, say mathematically trained economists, wherever S appears in our equations we’ll substitute C. But they pay no attention to the distribution of incomes. Indeed, their procedure is one of deduction from axioms, with all reference to actual situations rigorously excluded. The result is confusion. In the modern economy of mass production, while it may not make much difference who does the saving, it makes all the difference in the world who does the consuming. Affairs might be so badly skewed that only one person did all the saving, and the system could creak along reasonably well. But the system would not work if one person did all the consuming (a manifest absurdity); and it will not work very well when 20 percent of the people do a mere 4.3 percent of the consuming (which is the way we try to run things in the United States today [in 1992]). In a mass-production economy, consumption is a chore that cannot be delegated. A feudal economy can do everything it has to do when one-tenth of 1 per cent of the people dine on pate of reindeer tongue, and 99.9 per cent get along on carrot soup. A modern economy falters whenever a sizable percentage of the population is denied its output. If the output isn’t fully consumed, there is no point in producing so much; and if there is no point in producing so much, there is no point in employing so many people, whereupon things start to unravel – rather, many things are not knitted up in the first place. In talking about “arbitrary and inequitable distribution of wealth and incomes,” Keynes wasn’t ritualistically endorsing motherhood; he was pointing to the heart of the problem. This was so obvious that he didn’t think it needed much emphasis. The solutions, too, were obvious, and a few of them had been in partial use: nearly confiscatory death duties, steeply progressive income taxes, possibly a cap on incomes. What would be necessary at a particular stage in a particular society might not be appropriate in another, One wouldn’t know until one tried. It is also very likely, as he wrote in a previous chapter, that “the duty of ordering the current volume of investment [to achieve full employment] cannot safely be left in private hands.” Again, one could not say in advance exactly how this should be organized. 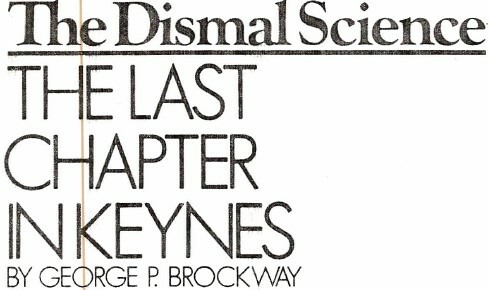 Keynes taught himself probability theory, and wrote a fat book about it, to satisfy himself that, as regards the future, “We simply do not know.” Unfortunately, some of his most skeptical critics and some of his most enthusiastic supporters undertook to supply the unavailable knowledge. The result was what several generations of bemused undergraduates have learned to call the IS-LM curve, which is supposed to show “the simultaneous determination of equilibrium values of the interest rate and the level of national income as a result of conditions in the goods and money markets.” That’s what The MIT Dictionary of Modern Economics says; don’t look at me. 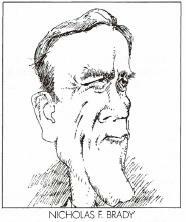 The man who said, “In the long run we are all dead,” should have known that things seldom if ever work out as envisioned. Only 62 of his prophecy’s 100 years have run [in 1992. 84 years as of the day this is put on-line], and we certainly have not avoided major wars or population explosions. Nor have we seen recent signs of the sort of capital accumulation that Keynes expected to lead us into daylight. 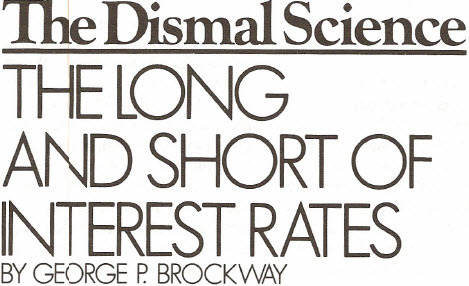 As for the interest rate, which he expected to trend steadily downward and effect “the euthanasia of the functionless investor,” it is (even at today’s supposedly low rates) higher than it ever was in his lifetime. These three visions all rely on a situation or change of one sort to effect a change of another. In each case, foul or death-dealing or self-serving motives are supposed to be led, one might almost say by an invisible hand, to lay the foundations of the good life. Assume the foundations at last to be laid. Why should the original motives cease to be effective? Why should men and women who have succeeded with “avarice, usury, and precaution” now abdicate? Undershaft obviously enjoys his religion of being a millionaire and his control of money and gunpowder. Why give it all up for “graces and luxuries” he already has? Even in the Lenin example, where the same people may be involved first and last, one wonders why self-serving bureaucrats become dedicated and efficient public servants (for surely that was Lenin’s expectation – and we have lived to see it disappointed). More important, how can you and I and Keynes himself – understanding the difference – renounce the fair and embrace the foul? What an obscene pretense is asked of us! Keynes’ initial disagreement with classical economics was that it denied the existence and even the possibility of involuntary unemployment. Today the economics profession either accepts a “natural” rate of unemployment, which may be as high as 6 or 7 per cent, or rejects the relevance of ethics altogether. The high road surveyed in The General Theory, and described in its last chapter, was not taken. PEOPLE are beginning to growl that recovery from the recession is being delayed by the slow growth of the nation’s money supply, which seems in danger of falling through the bottom (or “lower parameter” if you want to be fancy) of the Federal Reserve Board’s target. The said target is to keep the annual rate of increase between 2.5 and 6.5 per cent. Now, suppose that the Reserve agrees that the money supply is in danger of falling through its bottom. Resolved to their own selves to be true, they have to increase it. What do they do? The most obvious thing would be to coin some more coins and print some more paper money. But what would they do with it? You may be sure that they wouldn’t send a packet of the stuff to each of us by Express Mail. Nor would they add to our savings accounts (although they firmly believe we ought to save more). Instead, the Reserve would make it easier and more profitable for the banks to lend us money. We have some credit, represented by a plastic card that we show to a shoe clerk, who makes a copy of all the numbers, has us sign it, and hands us a pair of shoes. We have spent our credit like money, except we now are in debt to the bank that sent us the card. Our credit has become money by becoming debt. Businesses create money in the same way when they take down their line of credit extended by their friendly banker. This pleasant arrangement expands the money supply, but it is limited in various ways – the chief one being the interest rate, the price banks charge us for the use of money. There are those whose doctrine requires them to pretend that the Federal Reserve Board has no control over interest rates, that they are made in the market, if not in heaven, by an invisible hand, and no mere mortal can do anything about them. More sophisticated observers recognize that the Reserve really and truly does determine short-term interest rates. When the Board sets the Federal Funds rate or the Discount rate, it is setting a rate at which banks can borrow (short term) from each other or from the System. When the Federal Open Market Committee buys or sells bonds, it raises or lowers the price of bonds and consequently is lowering or raising the interest rate. If the Board did not set at least short-term rates in these ways, it would be hard to ascribe any significance to its activities. Indeed, the fact is that whenever the Reserve fears the money supply will fall through the lower parameter, it lowers the interest rate. It claims to control the money supply, yet all it can actually control is the interest rate. If that is the case, why doesn’t the Board say so? I regret to have to tell you that it is possessed by doctrines that might have made sense in the days of mercantilism but have nothing to do with a modern capitalist economy. In the days of mercantilism money was a commodity-gold, silver, sea shells, or some such. Trade was essentially barter. You swapped grain for silver, and then you swapped the silver for candles. At any given time (say, 1492) there was a certain amount of silver in circulation, and other commodities traded at more or less stable prices in terms of silver. Christopher Columbus (whether he discovered America or not) made a historical difference. The European supply of silver multiplied rapidly, while the supplies of other commodities, being agricultural products or custom made goods, expanded slowly, if at all. Some of the increasing supply of silver was swapped for the stagnant supplies of other commodities, whose prices rose. Hence the notion that prices depend on the money supply. Although the Federal Reserve Board seems not to have noticed, the modern economy is quite different from that of pre-Industrial Revolution days. As Karl Polyani rather sorrowfully pointed out, goods are now produced for the market, rather than on special order. While occasional shortages are far from impossible, industry is so organized that if a demand for an especially cute T-shirt suddenly develops, the supply can be replenished in a few hours or days. Since the supply of most commodities is now indefinite, if not infinite, the supply of money has no substantial effect on prices. The way the interest rate is managed does, however, have an effect on prices. Here, again, is a historical change the Reserve has failed to notice. A frequently cited survey, published in the Harvard Business Review in 1939, reported that business people then paid little attention to the interest rate in making their plans. A few years later I was a business planner myself, and I assure you that’s the way it was. After all, the prime rate, held down by an “accord” between the Treasury and the Federal Reserve, was only 1.5 per cent. The accord was annulled in 1951, whereupon the Reserve embarked on its long and still-continuing hunt for the inflation snark, with the result hat today interest is one of the most prominent and most unpredictable costs of doing business. Here, yet again, is a historical turning – one that has been missed by most mainstream economists but has been forcefully called to the attention of most businesspeople. If you have ever met a payroll, you know that your costs are an inescapable factor of the prices you charge. When your costs go up, so must your prices, if you propose to stay in business. For 40 years now the Reserve has been idiotically trying to control inflation by inflating the cost of doing business. In short, the price of money matters. Unhappily, it is widely believed – even by many who agree the Reserve can set short-term rates – that long-term rates are set by the “market” anticipating what the future will bring. Some say that the market anticipates the future rate of inflation; others that the market anticipates the short-term rates the Reserve will set in the future. In the former case, long-term lenders think of themselves as lending purchasing power and want to get their purchasing power back, with interest. In the latter case, long term borrowers guess that borrowing will be more expensive in the future than in the resent because the Reserve will, in its anti-inflation battle, allow (or force) short-term rates to rise. It will be seen that the customary policies of the Federal Reserve Board work to reinforce both groups. Inflation, of course, is the Board’s panatrophy, and raising the interest rate is the Board’s panacea. What borrowers and lenders anticipate in, the long future is that the Board will continue to pursue the policies it is pursuing today. They may be wrong, just as prophets may be wrong about what the Board will do tomorrow morning. he point is that, regardless of the Federal Reserve Board’s intentions, its actions effectively control the long-term interest rate as well as the short-term rate. THE SAME POINT may be reached from another direction. Keynes deplored the fact that most professional investors and speculators “are concerned, not with what an investment is really worth to a man who buys it ‘for keeps,’ but with what the market will value it at, under the influence of mass psychology, three months or a year hence.” In the 55 years that have passed since Keynes published this judgment, three months or a year has come to seem an unusually long time to hold an investment. The bond market is a place where people buy and sell bonds in which at least the seller did not intend to invest for keeps. Portfolio managers and professional traders treat long bonds and short bonds alike, and treat both as they treat stocks. They rank them according to their relative safety and relative liquidity and so on; and in that ranking it will happen that some long bonds are judged more liquid than any common stock. (After all, common stocks are “longer” than long bonds because they do not promise to return your money.) In all cases, long-term or short-term, the traders’ question is what the market will bear tomorrow, not what will happen over the next 30 years. This being so, the long-term interest rate is not a separate problem. Even new bond issues are priced in relation to the current market, and that is priced in relation to short -term interest rates. Therefore, all interest rates respond to the activities of the Federal Reserve Board. But may not international rates restrain those activities? In response to that question apologists for the present system will surely warn us about a flight from the dollar. We will be reminded that former Board Chairman Paul A. Volcker was tireless in arguing that interest rates had to rise to attract foreign money to finance our budget deficit. Rates had to stay high to keep the foreigners from pulling their money rugs out from under us. Treasury Secretary Nicholas F. Brady has a similar fear of flying. Who are the foreigners whose money is so important to us? Everyone knows that mainly they’re the Japanese. That knowledge should give us furiously to think. For the money that lands on our shores takes off from theirs. The flights to the dollar are flights from the yen. Yet their economy has been outperforming ours for the past many years. Have they outperformed us because they sent their money to us? Hardly. But their domestic saving and their currency’s flight had the same cause. Both were the result of their comparatively low interest rates and correspondingly high production (not productivity, but production). It was their expansion of employment and plant and output that made them prosperous. Don’t let anyone tell you that Japan’s interest rate was so low because Japan’s savings rate was so high. In the first place, you have to produce a lot before you have a lot to save. You can’t save what does not exist. In the second place, Japan’s recent hike in its interest rate was not caused by a fall in savings but by the cold -blooded and wrong-headed decision of its central bank. The increased interest rate will reduce economic activity, and reduced savings will follow as a consequence, not as a cause. The Federal Reserve Board’s money growth target is irrelevant. The Reserve should set the short-term interest rate at least as low as it did during the 1942-51 accord with the Treasury. The long-term rate conformed then, and it would do so today. JUDGING from newspaper reports, Professor James M. Buchanan of George Mason University won the Nobel Memorial Prize in Economics last October for discovering that politicians try to get re-elected, and that bureaucrats try to keep their jobs. This, you will admit, is a very great discovery and something that had not occurred to anyone else, before. How we got along until now, I can’t imagine; and how our new knowledge will change us, I can’t guess. It is reputed to be a powerful tool for prophesying, but it leaves me so breathless I haven’t the strength to wield it. 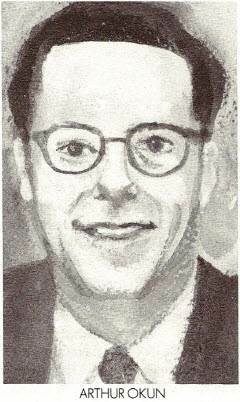 The professor is said to have come to his world-shattering notion as a result of studying economics at the University of Chicago, where he learned about Adam Smith and the invisible hand that produces results more socially desirable than those (if any) intended by profit maximizing economic men. However, declares the professor, the self-seeking of economic man is good, while the self-seeking of political man is bad. On the basis of this distinction, he joins (or leads a phalanx of) the radical Right that wants to do away with most government (except, perhaps, the Department of Defense), to deregulate everything, to require a balanced budget by constitutional amendment, and all the rest. What Professor Buchanan says about politicians may well be true, yet it does not follow that the world of laissez- faire is free from questionable consequences. 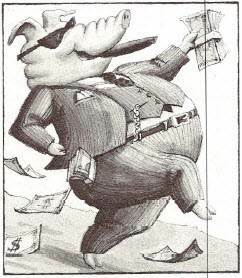 It is in the self-interest of a sharp fellow like the original Rockefeller to persuade suppliers to give him kickbacks, and it is in the self-interest of moneybags like the original Morgan to water stock. It is in the self-interest of surgeons to advise unnecessary surgery, and it is in the self interest of brokers to form pools in which suckers can take a bath while losing their shirts (see Junk Bonds and Watered Stock, NL, March 24, 1986). I fail to see the public good that flows from these self-interests, or the public harm that flows from their regulation. I also note that the few public servants with their hands in the till don’t salt away as much in a lifetime as a corporate raider may in an afternoon. In short, a balanced-budget amendment might make some kind of sense if offered in tandem with a maximum-income-and wealth amendment. Thus taking leave of the actual let’s explore the world of traditional doctrine, where competition forces prices down and down, until they hit cost and can go no lower this side of bankruptcy. Of course, when prices hit costs, there’s no room left for profit, and the profit system turns out to be profitless. Let’s put this paradox to one side, too and look more closely at costs. One man’s cost is another man’s price. A firm’s labor costs are its workers’ prices (wages).A cost-conscious firm must try to get these costs down. It will also do what it can to buy its supplies – raw materials, partially finished goods, parts, whatever-at the lowest possible rates. To do this, it will stimulate competition among its suppliers, making them as cost-conscious as it is. Each cost-conscious supplier will then act as did the original firm. It will squeeze its own labor force, and it will hope to find its own suppliers competing among themselves. And so on. We have an infinite regress. Adam Smith seemed to halt this regress by making the value of labor equal to the goods workers must buy in order to keep themselves going: the simplest food, the cheapest clothing, the minimum shelter-the bare necessities of life. The cost of labor cannot fall beyond the cost of these necessities, for the labor could not sustain itself; therefore their cost is the irreducible cost upon which the price system is based. Yet these goods are produced, too, and produced exactly as other goods are. A firm producing them can reduce its prices by controlling its costs in the same ways other firms do. There is thus no minimum or final or “natural” price for the goods laborers must buy; consequently no determinate system of costs or prices or values. The regress continues. But if the regress truly continued all prices under competitive conditions would approach zero, and so would all costs and all incomes. Somehow this bizarre situation never develops; somehow the regress stops. How does it stop? In the only way a regress can stop: It never actually gets started. as the late Arthur Okun showed, firms also have a certain sales volume in mind. If the sales don’t develop, production is cut. A distress sale may be held, but seldom is an effort made to continue production by cutting price. On the other hand, in the happy case where sales are greater than expected, production is increased and profits pocketed, but price is not ordinarily altered. Manufacturing firms act in this fashion because they are ongoing organizations. Their capital investment is such that a flow of income is more important to them than a sporadic killing, and steady customers more valuable than casual bargain hunters. They set their prices in the hope of maintaining that flow into the future, and they strive to build a reliable clientele on the basis of their own reliability in observing the industry’s customs-what Okun called the invisible handshake. The most crucial point is that modern industrialists set their prices. Farmers set their production level and take whatever the market will pay them. Manufacturers are price setters and quantity takers: They set their prices and take whatever sales they can wrest from the market. Setting a price is an act of will. It is a free act. It is determining, not determined. Like all acts, it is limited. It is an event in an actual, articulated world with a past and a future, not an imaginary world without time. You cannot effectively price your wares at a tenth of the going price or at 10 times the going price. Whatever price you set has consequences. Price determination is not the only willful act in business. The decision to be a haberdasher instead of a bookseller is similarly willful. Determining the prices of shirts and ties is secondary and subordinate to deciding to be a haberdasher, and also to deciding what clientele one intends to attract, what kind of haberdasher one intends to be. With willful acts we arrest the infinite regress. When we say, “This is what I offer,” “This is what I’ll sell at that price,” “This is what I’ll buy at that price,” we launch ourselves into the future: we progress, not regress. Accepting-seeking, rather-the consequences of our action, we declare our membership in, and responsibility to, the real world. 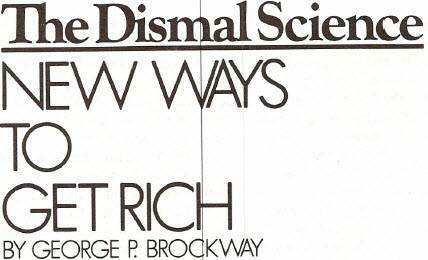 In conclusion, let me reward your perseverance in reading this far by allowing you to be among the first to hear of Brockway’s Paradox. Professor Buchanan (to get back to him) thinks that perfectly selfish competitors drive prices down to cost. But Brockway’s Paradox calls your attention to the fact that perfectly altruistic producers would also set their prices at cost. In physics, you’ d suspect an error in your observing or your reasoning if both freezing and heating caused water to boil. The solution to the Paradox? Economics isn’t about either selfishness or altruism; it is about right and wrong. DURING THE last couple of years a new fungus has been welling in the dark of the financial moon – the securities futures market, or markets. The most prominent of these trades guesses about the future of the Dow-Jones Index. This trading is said to be similar to that on the commodities exchanges, where you can bet on the future price of sugar or platinum or pork bellies; but the similarity is merely superficial. If I were crazy enough or shrewd enough to play the commodities markets, I’d go in for pork bellies, because that solemn game appeals to my sense of the ridiculous. The unit of trading is a contract to buy (or sell) 38,000 pounds of the stuff (which I suppose is a carload: a carload of book paper is 40,000 pounds) at a specified price at some future date. That’s a giggling amount of bacon to bring home. As I write this, the price for next March is 63.4 cents a pound. Let’s say you purchase a contract to buy and, come March, the price is 73.4 cents a pound: You sell your contract at that price and pocket the difference, or $3,800, less a trifling brokerage charge and taxes. You don’t have to feed the pigs; you don’t hear them squeal; you never even put up any real money; and you can sell any time before if you think the price is right. You simply pick up a piece of change for guessing right. Of course, if you guess wrong, you take a bath in the trough. The commodities markets are gambling dens for millionaires. Conscience stricken brokers (there are some such) claim that the trading stabilizes prices and so helps farmers plan. We don’t have to take this claim seriously to see that, in the end, someone winds up with some actual bacon to sell to someone else who has not been persuaded by Jane Brody to give up the ingestion of animal fats. The stock market futures are something else. There, what is traded is the right to buy a bundle of stocks already a couple of markets away from anything you can get your teeth into. After all, the stock market itself is said to stabilize the cost of capital and help General Motors to plan production. Again, this is a claim we don’t have to take seriously. And when we read in the business press that the securities futures market stabilizes the stock market, which stabilizes the cost of capital, we know we are in the land of make believe. Why not a market in options to buy futures, thus stabilizing the futures market? Now, it is true that stock market futures have some slight appeal to people engaged in productive enterprise. Enterprisers deal with the future all the time anyhow. The local bookstore orders its Christmas stock in July; the publisher sent the manuscript to press in January; the printer and paper manufacturer have to order their machines years ahead. It takes time to do business, and during that time the prices of things change unpredictably. If you contract today for a $10 million warehouse to be ready a year from now, you worry that by that future date the real estate market may have tumbled so that your competitor can buy one standing empty for $8 million and be in a position to underprice you. You may worry so much that you decide to hedge your bet by selling stocks short. Then if prices fall, the money you gain by selling short will offset the value lost on the warehouse. And if prices rise, the increased value of the warehouse will offset the money lost on the stocks. Obviously, when you hedge a bet you narrow your possible gains as well as your possible losses; and you may be ready to do this because you want the warehouse to do business in, not to speculate with. Since the stock futures market is an organized way of selling short, it is convenient for businessmen with heavy commitments they would like to hedge. Once the market is in operation, it offers a field day for big-time gambling on a sure thing. For various reasons, a gap will open from time to time between the futures market and the prices of the underlying stocks. When the gap is big enough (maybe only a point or two), arbitragers will buy in the cheaper market and sell in the dearer. It’s a riskless gamble, but you have to act fast, and you have to have access to an enormous amount of money to make the game worth the trouble and expense. The gaps that open between the markets are not exactly the doings of the famous invisible hand. Those who run futures markets pride themselves on developing what they call “products” that will appeal to traders. (It would be hard to imagine anything less like a tangible product or more airy-fairy than the chits that are traded.) A successful “product”- one that has, as they say, a great deal of sizzle – is one that is extra volatile. The more volatile the markets, the bigger the possible gaps. The bigger the gaps, the more trading. The more trading, the more volatility. Recently a vice president of the New York Stock Exchange, which usually pictures itself as sedate and conservative, talked pretty smugly during a TV interview about a new “product” the Exchange is pushing. It is called the Beta Index. Stocks that are highly volatile are said to have a high Beta characteristic, and the Beta Index is a weighted average of the 100 most volatile stocks on the Exchange. Beta Index futures, it is hoped, will be not only volatile but sizzling. There’ll be big gaps for sparks to jump. Trading to take advantage of gaps is an old way of making money. It has a better claim than Marx’s elaborate analysis as the method of primitive accumulation that made capitalism possible. In The Wheels of Commerce, the second volume of his trilogy Civilization and Capitalism, 15th-18th Century, Fernand Braudel makes much of the fact that the first large Renaissance fortunes resulted from long-distance trade. The money wasn’t earned in haulage; the function of distance was to open gaps in information, and consequently in prices, that enabled well-informed experienced traders to buy cheap and sell dear. Like the arbitragers of today, they used other people’s money: partnership funds, bank deposits, and ultimately credit, some of it not unlike junk bonds. Fortunes accumulated very fast. What fascinates people about stock index futures is that the big trades are dictated by computers, and when they aren’t” down” they still have an aura of magic. It’s all done in seconds, as compared with months or even years a half millennium ago. On a recent day, some 40 million shares were traded in the last few seconds before the market closed. A brief four or five years ago, 40 million shares made a big day on Wall Street; on Black Tuesday in 1929, only 16,410,000 shares were traded. Today’s buy and sell orders are programed, which seems different from human agency (though programmers are presumably human). But the principle is the same. Also the same is the uneasiness aroused in the breasts of ordinary citizens by the extraordinary winnings of the traders. THE UNEASINESS is certainly justified. The old curse (variously said to be Chinese, Jewish, or Hungarian) can be paraphrased to read, “May you live in volatile times.” Yet the stock Exchange itself could scarcely exist if it were not inherently volatile. It is disingenuous or ignorant to contend, as many do, that the market is an efficient way of valuing the nation’s industries. There is much fluttering in economic dovecotes if the GNP varies in a year as much as 2 per cent from its secular trend line, yet the stock market can rise or fall that much in a single session. In a rational world, the value of a nation’s industries would be a function of what they produce. In the world of Wall Street, the nation’s industries are merely an occasion or an excuse for buying and selling pieces of paper. What is being valued is not the corporations that issued the paper but the traders’ guesses about what the Federal Reserve Board will do next. An offhand remark by Chairman Paul A. VoIcker will trigger a bigger rise or fall in the market than any conceivable news about actual production. Indeed, favorable news of production is likely to cause the market to fall, because it is thought likely to frighten VoIcker into tightening the money supply and raising the interest rate in order to try to exorcise the inflation banshee. Commentators will intone a few traditional homilies about the effects of high interest rates on industry, but what really matters is that a rise in the interest rate reduces the capitalized value of every income-earning asset. The business press is fond of pointing out that everyone who guesses VoIcker is in a good mood is matched by someone who guesses he is in a foul mood. Otherwise there wouldn’t be any trading. The implication is the shaking and baking all evens out and doesn’t matter. Unfortunately, it does matter. The New York Times estimates that $11 billion is now committed to the stock futures markets alone. This $11 billion, invested in “products” that neither are products nor produce products, is unavailable to productive industry. As far as enterprise is concerned, the stock futures markets have caused the money supply to fall $11 billion. An even more potent factor in the misuse of the money supply is the resurgent takeover wave, which must carry off upwards of $100 billion in its undertow. Not so long ago, college endowment funds, pension funds and the like were invested almost exclusively in high-grade bonds. Bit by bit they all have been seduced into playing the market, where they are managed by “experts” with an eye to churning the accounts and so picking up a fraction of a point here or there, day after day. It can all add up, just as a vegetable market makes a tiny profit on sales but a tidy profit on investment by turning its inventory almost daily. As the market has risen with the fall in interest rates, the results of this activity have been spectacular. Given the record, it will not be surprising if the managers of these funds are tempted by the stock futures markets, where the winnings can be two or three times those of the stocks themselves. As this comes to pass, more and more of our money will be frozen in nonproductive speculation. The resulting Ice Age will leave our industries, once a justifiable source of pride, high and dry.